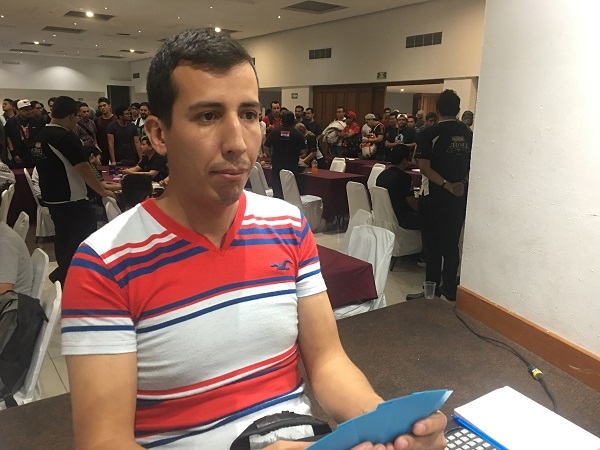 Angel Abimelec Perez Maciel from Irapuato, Mexico is Dueling against Carlos Camilo Arreola Garcia from Aguascalientes, Mexico in this Top 32 Feature Match! 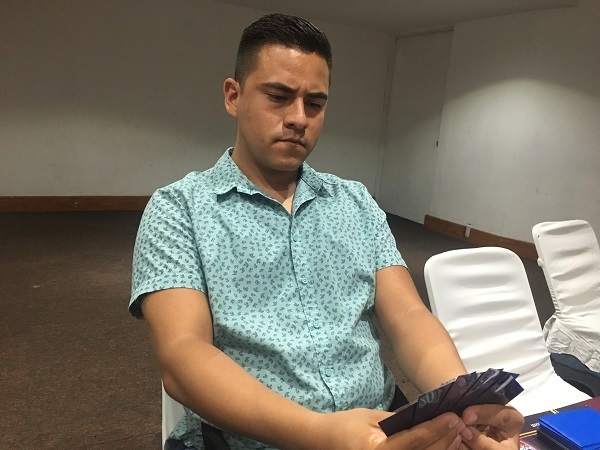 Perez Maciel is the last remaining ABC Duelist in the tournament, while Arreola Garcia is piloting the most popular Deck – Trickstar Sky Strikers. Only one of these Duelists will advance to the Top 16. It’s time to Duel! Arreola started Duel 1 by activating Terraforming to add Trickstar Light Stage to his hand, prompting Perez to send Droll & Lock Bird from his hand to his Graveyard to activate its effect. Arreola activated Sky Striker Mecha – Hornet Drones next, Special Summoning a Sky Striker Ace Token to his field. He used the Token to Link Summon Sky Striker Ace – Kagari and then used Kagari’s effect to return Hornet Drones to his hand. He Set 3 cards to his back row before passing. Perez drew a card and then had Gold Gadget, Mirror Force, B-Buster Drake, C-Crush Wyvern, and Foolish Burial in his hand. He Set the Mirror Force and Foolish Burial and then Summoned Gold Gadget, activating its effect to Special Summon C-Crush Wyvern from his hand. He combined the 2 monsters to Link Summon Underclock Taker, and then used C’s effect to Special Summon B-Buster Drake from his hand. He combined his 2 monsters to Summon Knightmare Unicorn next, and then used B’s effect to add A-Assault Core from his Deck to his hand. He flipped Foolish Burial next, sending A-Assault Core from his Deck to his Graveyard. 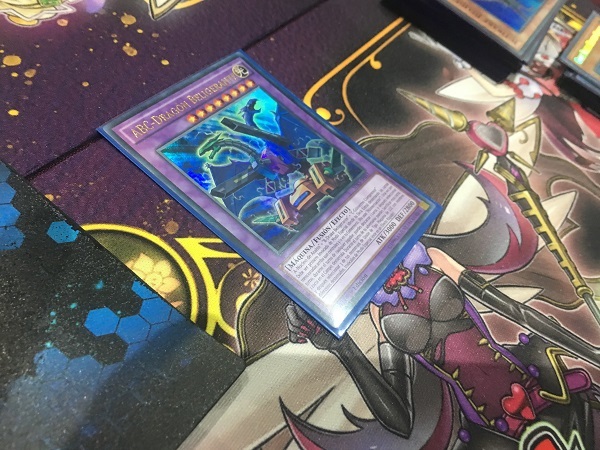 He banished A, B, and C from his Graveyard to Special Summon ABC-Dragon Buster Linked to Knightmare Unicorn! Knightmare Unicorn attacked and destroyed Kagari, and then ABC-Dragon Buster attacked directly, dropping Arreola down to 4400 Life Points. Arreola activated Sky Striker Mobilize – Engage! to add Sky Striker Mecha – Widow Anchor to his hand. He activated Light Stage next and used its effect, and Perez Chained the effect of his ABC-Dragon Buster to try to destroy it. Arreola Chained Widow Anchor to try to negate its effect, but Perez used the effect of his ABC-Dragon Buster to banish it from the Duel and Special Summon A, B, and C back to the field. Trickstar Light Stage was banished by the Buster’s effect! Arreola activated Hornet Drones next and used the Token to Link Summon Kagari. He used Kagari’s effect to add Sky Striker Mobilize – Engage! to his hand, and then used Engage to add Hornet Drones to his hand before drawing a card with the rest of its effect. He activated Terraforming next, adding Trickstar Light Stage to his hand. He activated Light Stage to add Trickstar Candina to his hand and then used Widow Anchor targeting Unicorn. He Chained Hornet Drones to Special Summon a Token before taking control of the Unicorn. He Normal Summoned Candina next, using its effect to add Trickstar Lycoris from his Deck to his hand. 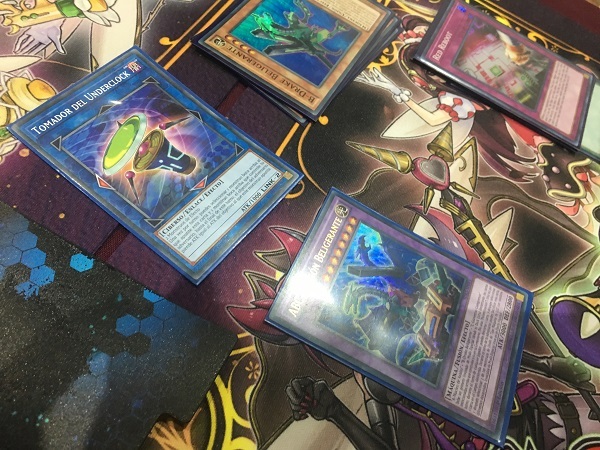 Next, he combined a Sky Striker Ace Token with Kagari to Link Summon Knightmare Goblin co-Linked to Unicorn and used the Goblin’s effect to discard Ash Blossom & Joyous Spring and draw a card. He Normal Summoned Candina Linked to the Goblin, and then used Candina’s effect to add Trickstar Lilybell to his hand. He used Lilybell’s effect to Special Summon it in Attack Position and then combined the Unicorn with Candina to Link Summon Knightmare Cerberus co-Linked to his Goblin. He used its effect to discard Lycoris, destroy B-Buster Drake, and draw a card. Perez added A-Assault Core to his hand with the effect of his Buster Drake. Arreola combined Goblin, Candina, and Cerberus next, Link Summoning Borreload Dragon! He attacked with Borreload, and Perez flipped Mirror Force! Borreload and Lilybell were destroyed! In Main Phase 2, Arreola activated Trickstar Reincarnation, forcing Perez to banish A-Assault Core from his hand and draw a card. He Set a card to his back row before passing. Perez activated Pot of Desires on his next turn, banishing the top 10 cards of his Deck face-down to draw Scapegoat and Shared Ride. Arreola flipped Trickstar Reincarnation next, forcing Perez to banish his hand and then draw Hornet Drones, Twin Twisters, and Droll & Lock Bird. He switched his C-Crush Wyvern into Attack Position and then sent Crush Wyvern and Assault Core to his Graveyard to Link Summon Knightmare Phoenix. He used the effect of A-Assault Core to add B-Buster Drake to his hand and then Normal Summoned Buster Drake. He combined his Buster Drake with his Phoenix to Link Summon Topologic Trisbaena and then attacked directly, dropping Arreola down to 1900 Life Points. He activated Twin Twisters next, discarding Droll & Lock Bird to destroy Light Stage. He activated Hornet Drones after that, and Special Summoned a Token to the field. Arreola banished Trickstar Reincarnation from his Graveyard to Special Summon Candina and then banished a second Reincarnation to Special Summon Lilybell. He attacked directly with Lilybell, using its effect to add Trickstar Lycoris from his Graveyard to his hand. Candina attacked and destroyed the Token next, and then he returned Candina to his hand to Special Summon Lycoris. He Summoned Candina in Main Phase 2 and used its effect to add Light Stage to his hand. He used it to add another Candina to his hand. He combined Lycoris with Lilybell and Candina to Link Summoned Knightmare Unicorn next, and discarded a card to send Trisbaena back to the Extra Deck. He Set a card to his back row before passing. Perez drew Ghost Belle & Haunted Mansion and then banished A, B, and C from his Graveyard to Special Summon ABC-Dragon Buster! He attacked Unicorn with it, destroying it in battle and dropping Arreola down to 1100 Life Points. He passed his turn, and Arreola activated Scapegoat in the End Phase! He Special Summoned 4 Sheep Tokens to his field. Arreola used all 4 Tokens to Link Summon Firewall Dragon and Set a monster behind it. Perez attacked Firewall with his ABC-Dragon Buster, destroying it in battle. Arreola Set a card to his back row and passed. In the End Phase, Perez banished the newly Set Called by the Grave with the effect of his ABC-Dragon Buster. Perez drew Monster Reborn and then discarded it to banish Arreola’s face-down monster. He attacked directly with his ABC-Dragon Buster, ending the Duel! Angel Abimelec Perez Maciel wins the first Duel with his ABC Deck! Arreola started off Duel 2 by Normal Summoning Candina and using its effect to add Trickstar Reincarnation from his Deck to his hand, prompting Perez to send the Droll & Lock Bird in his hand to the Graveyard to activate its effect. Perez drew a card and then had Skill Drain, Silver Gadget, B-Buster Drake, Terraforming, and Chaos Hunter in his hand. He Normal Summoned the Silver Gadget and activated its effect to Special Summon B-Buster Drake to his field. He sent both of his monsters to the Graveyard to Link Summon Underclock Taker and activated the effect of his Buster Drake. Arreola Chained Shared Ride, and when Arreola added A-Assault Core to his hand, Arreola drew a card. Perez Set Skill Drain and Terraforming before passing. Arreola activated Terraforming to add Light Stage to his hand and then activated Light Stage to get a Trickstar from his Deck. He used the effect of Light Stage to pin down one of Perez’s face-down cards and then Special Summoned Lycoris by returning Candina to his hand. Perez discarded A-Assault Core from his hand to Special Summon Chaos Hunter to the field! Arreola Normal Summoned Candina next, and when he tried to use its effect, Perez flipped Skill Drain and gave up 1000 Life Points! Arreola combined his 2 Trickstars to Link Summon Knightmare Phoenix next, and then activated Hornet Drones. He Special Summoned a Sky Striker Ace Token and combined it with his Phoenix to Link Summon a Knightmare Unicorn. The Unicorn attacked and destroyed Underclock Taker. Arreola activated Sky Striker Mecha – Widow Anchor next, taking control of Chaos Hunter and using it to attack directly. In Main Phase 2, he Set a card to his back row and then sent his Unicorn and then Chaos Hunter to the Graveyard to Link Summon Firewall Dragon. In the End Phase, Perez’s face-down Terraforming was sent to the Graveyard due to the effect of Light Stage. Perez drew and Set Droll & Lock Bird. Arreola attacked and destroyed the face-down Droll & Lock Bird with his Firewall Dragon. Perez drew and Set Shared Ride. Arreola used Light Stage’s effect targeting the Shared Ride, and Perez Chained it. Firewall attacked directly. Perez drew and Set a monster. Arreola activated another Light Stage on his next turn, prompting Perez to concede. Carlos Camilo Arreola Garcia wins Duel 2 after Summoning Firewall Dragon after a crucial activation of Sky Striker Mecha – Widow Anchor! 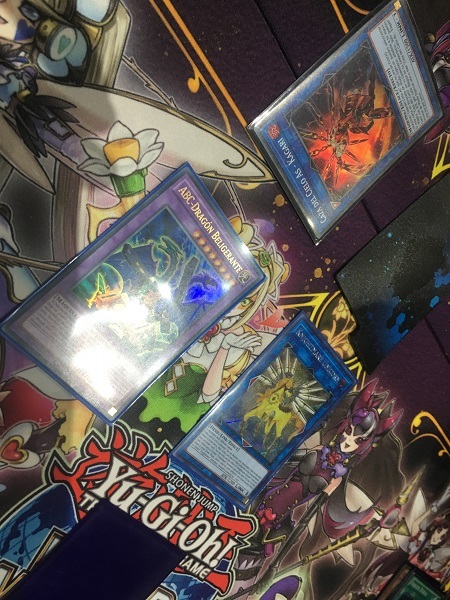 Perez opened up Duel 3 with Mind Crush, Terraforming, B-Buster Drake, and 2 copies of Red Reboot. He activated Terraforming to add Union Hangar to his hand, prompting Arreola to use the effect of Droll & Lock Bird. He Set B-Buster Drake and then passed his turn. Time in the round was called in his End Phase, moving the Duel into end-of-time procedure! At the end of each turn, Life Point totals will be checked, and the Duelist ahead on Life Points will be the winner! Arreola drew a card and then activated Twin Twisters! He discarded Ash Blossom & Joyous Spring to target a face-down Red Reboot and Mind Crush. Arreola Chained Mind Crush, naming Trickstar Candina; but Arreola revealed his hand of Ash Blossom & Joyous Spring and 2 copies of Widow Anchor! Perez discarded a Red Reboot from his hand due to the effect of his Mind Crush, and then the face-down Red Reboot was destroyed by Twin Twisters. He Set both copies of Widow Anchor and Ash Blossom & Joyous Spring before passing. Perez activated Union Hangar and used its effect to add C-Crush Wyvern to his hand. He Flip Summoned B-Buster Drake and then Normal Summoned C-Crush Wyvern. He used the effect of his Union Hangar to equip it with an A-Assault Core in his Deck, and then combined his 2 monsters to Link Summon Underclock Taker. 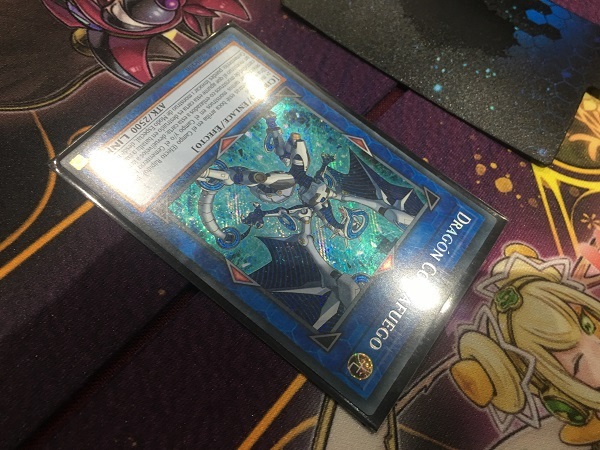 He added an A-Assault Core from his Deck to his hand and then banished A, B, and C from his Graveyard to Special Summon ABC-Dragon Buster! He attacked the face-down Ash Blossom & Joyous Spring with his ABC-Dragon Buster to destroy it, and then a direct attack from Underclock Taker dropped Arreola below 8000 Life Points, allowing Perez to take the victory in the End Phase! Angel Abimelec Perez Maciel is moving on to the Top 16 with his ABC Deck!